Sophia Povalac, formerly of Coaldale, passed away peacefully on Tuesday, February 12, 2019, at the age of 98. She was a guest of Maple Shade Meadows, Nesquehoning, Pennsylvania..
She was born October 20, 1920 in Coaldale. She was the daughter of the late Walter and Ceclia Sachon. She was also predeceased by; husband of 63 years, Michael Povalac; sisters, Mildred Demienenko, Helen LaScalea, Olga Pantella; brothers, Peter, and Walter "Butch" Sachon. Survived by; daughter, Michelle Love and her husband Roger of Cornelius, NC; son, Michael Povalac and his wife Barbara of Nyack, NY, grand children, Roger, Traci, Christopher, Amanda, Stefani; 12 great grand children. A member of St. Mary's Russian Orthodox Church of Coaldale, Sophia had worked for RCA of Somerville New Jersey in quality control for many years. An excellent baker and cook, Sophia enjoyed singing and listening to music. She was devoted to her family, and adored her grandchildren and great grandchildren. Interment will be in Sky-View Memorial Park Tamaqua, Pennsylvania. Ardeth I. Luckenbill, 88, of Schuylkill Haven, passed away Sunday, February 10th, at Lehigh Valley Hospital - Schuylkill, E. Norwegian St., Pottsville. Born in Cressona on August 1, 1930, she was a daughter of the late William & Mable (Heberling) Miller. She was the widow of Harold "Kutter" Luckenbill, who passed away February 9, 1996. Ardeth was a member of Bethesda Evangelical Congregational Church of Reedsville. She was a graduate of Cressona High School, Class of 1948, and was formerly employed as a machine operator at Alpha Mills. Ardeth was a member of Order of the Eastern Star, Cressona Chapter. Ardeth loved plants and flowers, playing cards, and feeding, and observing birds. She is survived by a son,Glenn Luckenbill & wife, Leslee, of Pottsville, granddaughter, Rachel Orlando & husband, Vincent, Chester Springs, great-granddaughter, Giuliana, and nieces & nephews. In addition to her parents and husband, Ardeth is also preceded in death by one son, Bruce William Luckenbill in 1950, and two sisters: Mildred, & Violet, and one brother, Harold. A Celebration of Life Funeral Service will be conducted at 10:30 a.m. at Bethesda Evangelical Congregational Church of Reedsville on Friday, February 15th, with Rev. Mark Brooks officiating. A viewing will be held at the church from 9:30 a.m. until the time of service on Friday. Interment will immediately follow the service at Schuylkill Memorial Park, Schuylkill Haven. Family request donations in Ardeth's memory to Bethesda EC Church Memorial Fund - 155 Reedsville Road Schuylkill Haven, PA 17972. 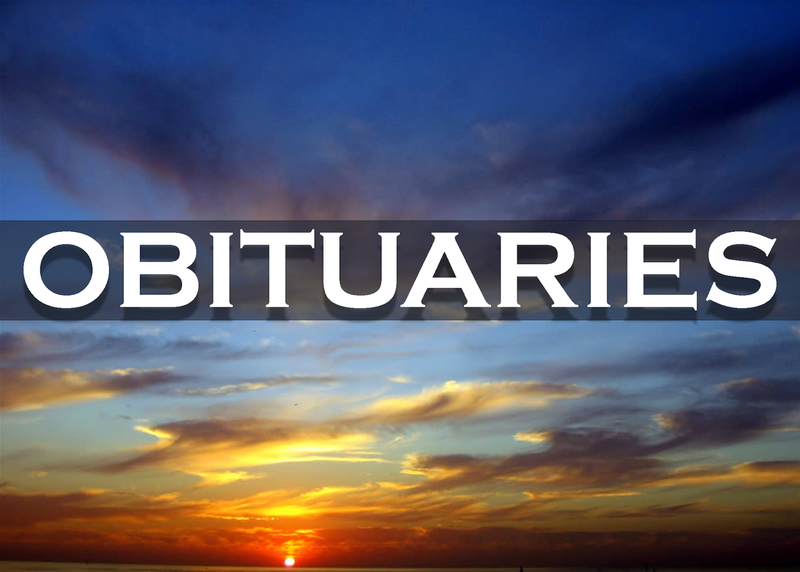 Louise A. Heffner, 71, of Pottsville, passed away unexpectedly on Sunday in her residence. Born in Lancaster, PA on January 13, 1948, she was a daughter of the late Ambearle R. Whitehead. She was a 1965 graduate of Pottsville High School. Through the years Louise was employed by the Town & Country Store for 5 years; after that she was a bus driver for Child Development for 2 years; and then she became the secretary for Christ Evangelical Congregational Church and Anchor Christian Fellowship for approximately 21 years. She completed her working years at Liberty Savings Bank, where she was a teller for 7 years. Louise most enjoyed spending time with her grand and great grandchildren. Her favorite past-times were stitchery and shopping. In addition to her parents she was preceded in death by a grandson, Zachary John, and a brother, George M. Bruen. Louise is survived by her husband, John E. Heffner, to whom she was married 49 years: daughter, Kelly A. Heffner, of Pottsville; step son, Daniel, husband of Tammy Heffner, of Hegins; 7 grandchildren; 12 great grandchildren; several nieces; and grand nieces and nephews. Memorial Services will be held on Saturday, March 2nd, at 11:00 a.m. at Lord-Bixler Funeral Home, Inc., 1818 Mahantongo St., Pottsville, with David Wood officiating. A visitation with the family will be held in the funeral home from 9:00 a.m. until time of service. 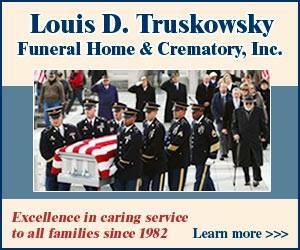 The family request contributions in Louise's memory be sent to: Alzheimer's Foundation, 3544 N. Progress Ave., Ste. 205 Harrisburg, PA 17110-9638 or American Heart Association, P.O. Box 15120, Chicago, IL 60693. Jane M. Morgan, 87, Harrisburg, passed away peacefully Monday at Hershey Medical Center. Born in Frackville she was the daughter of the late Charles F. and Myrle Brosius Swartz. She was a member of Zion Lutheran Church, Hummelstown, the church prayer chain and in the past was a member of the kitchen committee for banquets and also the Frey Village Bingo. Jane was adored by her children, grandchildren and great-grandchildren. Her favorite past times were gardening and bird watching in her back yard. She also enjoyed playing bingo and showing her artistic side by painting and attending the Hershey Symphony. She was preceded in death by her husband James Roy Morgan in 2017 and her 4 brothers; Waldemar, Donald, Daniel and Jay Swartz. Jane is survived by her son James Roy Morgan Jr. and her daughter Pamela Jane Morgan, both of Harrisburg, her grandchildren; Adam Morgan and Jenna wife of Ryan Powell, her great-grandchildren; Garrett and Faith Powell also by several nieces and nephews. Funeral services will be held on Saturday at 11 a.m. from the Thomas M. Sullivan Funeral Home, Frackville, with her pastor Rev. Lois K. Van Orden officiating. Interment will be in Odd Fellows Cemetery, Frackville. Friends may call at the funeral home on Saturday from 10 a.m. until time of service.